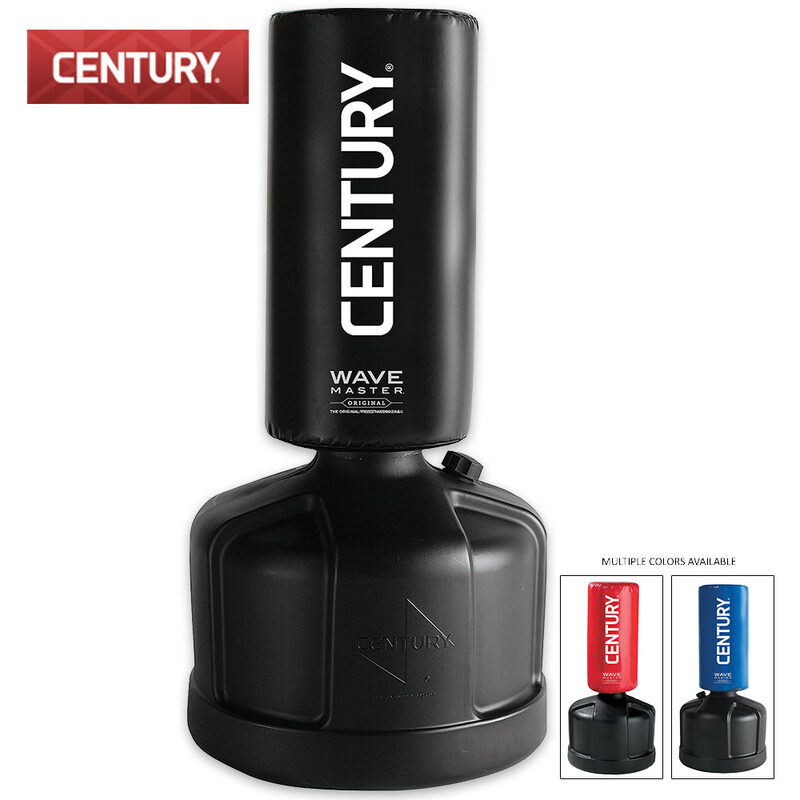 Wavemaster Freestanding Punching Bag | BUDK.com - Knives & Swords At The Lowest Prices! The base is 24"x 19 1/2"
If you’re looking for optimal resistance and quick rebound, then add the Wavemaster Freestanding Punching Bag to your training gear. It’s perfect for martial arts and boxing training. This bag is the original freestanding heavy bag and is excellent for developing kicks, punches, and strikes. It’s constructed of high-density foam and the rounded, easy-to-move base can be filled with either sand or water. It has seven height adjustments from 47” to 68” and is approximately 270 lbs. when filled with water. Choose from blue, black or red.